Tags: intel xeon e5-2640 v3, intel xeon e5-2640 v3 2.6ghz, intel xeon e5-2640 v3 processor. The Intel Xeon E5-2640 v3 Processor with 8 cores, 16 threads, and 20 MB cache delivers the best performance to your server or workstation. With the number of cores and the amount of Cache, this processor is well suited for different applications and environments. It runs of 22 nm process, with the clock speed of 2.60 GHz and extended up to 3.40 GHz. 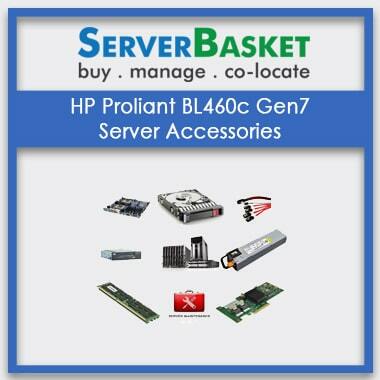 The memory capacity is 768 GB, supports memory types of DDR4 1600/1866 and 4 memory channels. 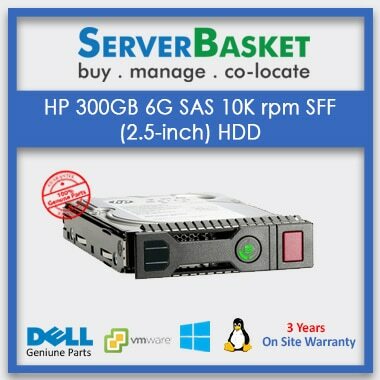 Furthermore, E5-2640 v3 processor supports many advanced technologies and security features. 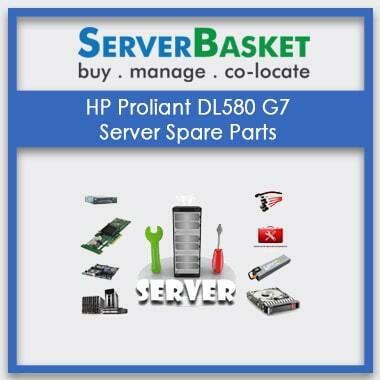 Buy this masterpiece of Intel’s E5-2640 v3 processor from Server Basket at the lowest price and also get 90 days assured warranty without any compromise. This Intel Xeon E5-2640 v3 processor employs Haswell architecture that supports DDR4 memory and gives more energy savings. The DDR4 memory consumes less power and delivers excellent performance during the memory intensive workloads to the enterprise/ organization etc. It has an average power consumption (TDP) of 90 Watts. Intel Xeon E5-2640 v3 processor comes with the maximum base frequency of 2.60 GHz, and it can be increased to up to a maximum turbo frequency of 3.40 GHz. 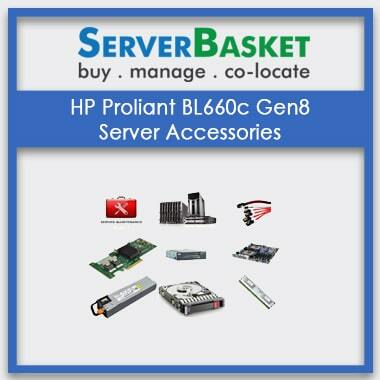 It can deliver an increased processor frequency as needed and also gives a burst of speed when required. This can be possible because E5-2640 v3 processor supports Intel Turbo Boost 2.0 Technology. The Intel Xeon E5-2640 v3 processor supports multiple server platforms such as Dell, HP, IBM, etc. 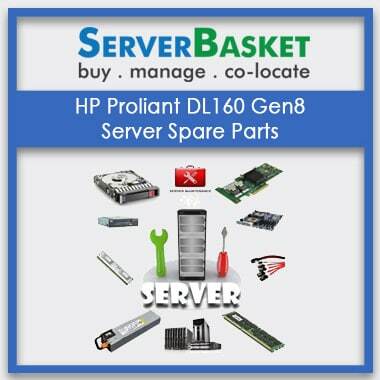 Some of the supported Dell servers are PowerEdge R630, PowerEdge R430, PowerEdge R530, PowerEdge T630, PowerEdge M630, PowerEdge R730, and PowerEdge T430. 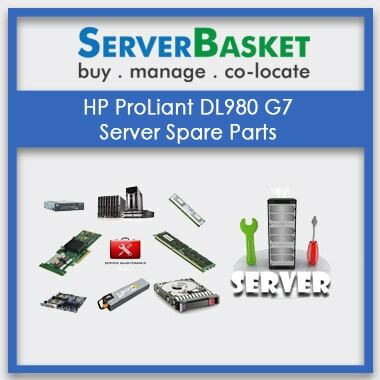 Some of the supported HP servers are DL80 G9, DL120 G9, DL60 G9, DL380 G9, BL460c G9, DL360 G9, ML350 G9, DL180 G9, ML150 G9, DL160 G9, and XL450 G9. And IBM System x3650 M5 and System x3550 M5 servers. The Intel Xeon E5-2640 v3 processor supports Intel Hyper-Threading Technology (Intel HT Technology). This technology allows delivering two processing threads per single core. It doubles the number of processes of the cores and enables the processor to run multiple programs simultaneously without interrupting the system/server. Intel Xeon E5-2640 v3 processor supports many advanced technologies such as Intel Virtualization Technology (VT-x), Intel vPro Technology, Enhanced Intel SpeedStep Technology, Instruction Set/ Extensions and Thermal Monitoring Technologies. Each of the technologies will endeavour the processor’s performance by supporting it with its features like enhancing processor’s frequency, increasing the burst speed, threat protection, virtualization- allowing on the hardware platform to function as multiple and also enabling high performance while meeting the power-conservation and many such features. 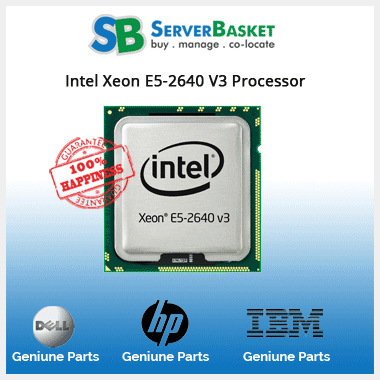 Intel Xeon E5-2640 v3 processor comes with 90 days risk-free warranty from Server Basket. Essential services required are included in the warranty card. We provide quick and vital services upon informing us about the issues regarding repairs/failures. You can use the warranty card ‘n’ number of times until its validity.